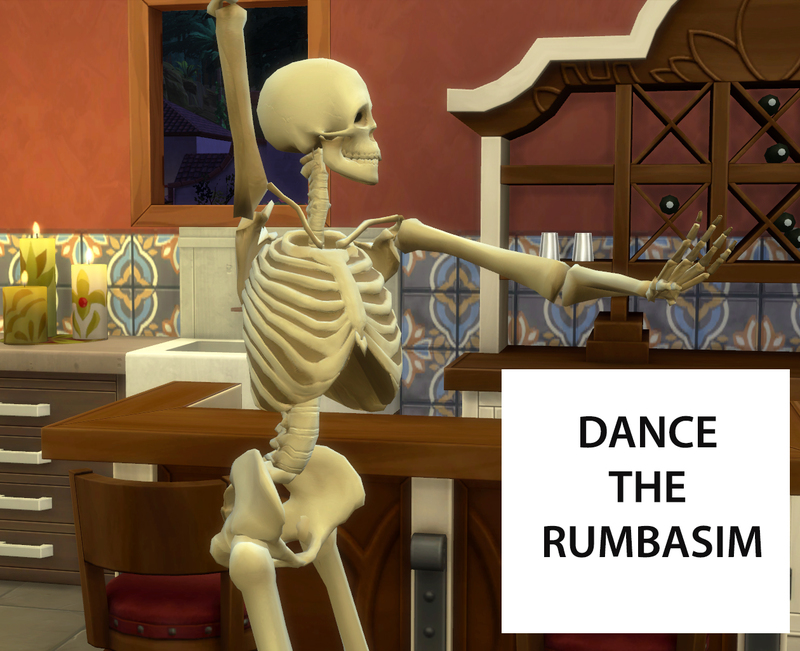 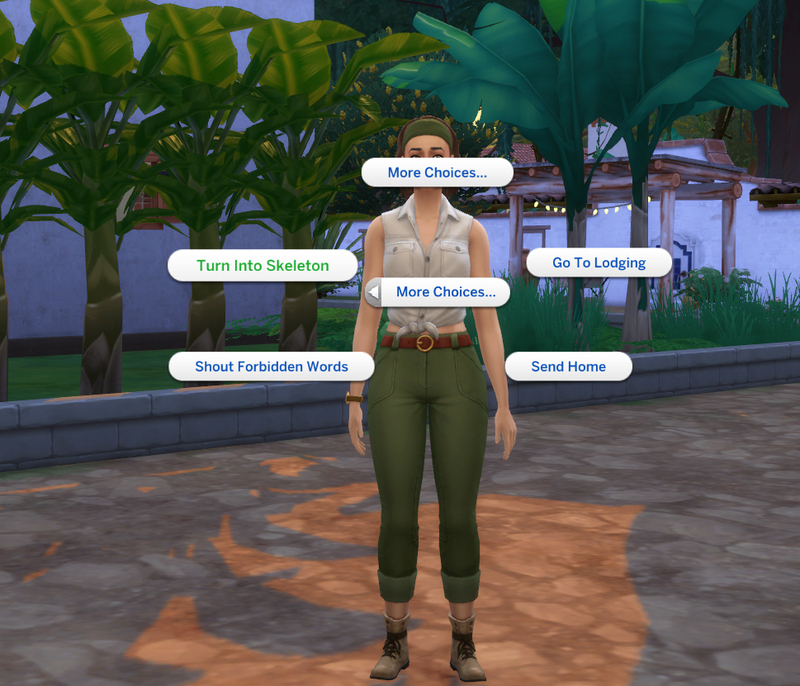 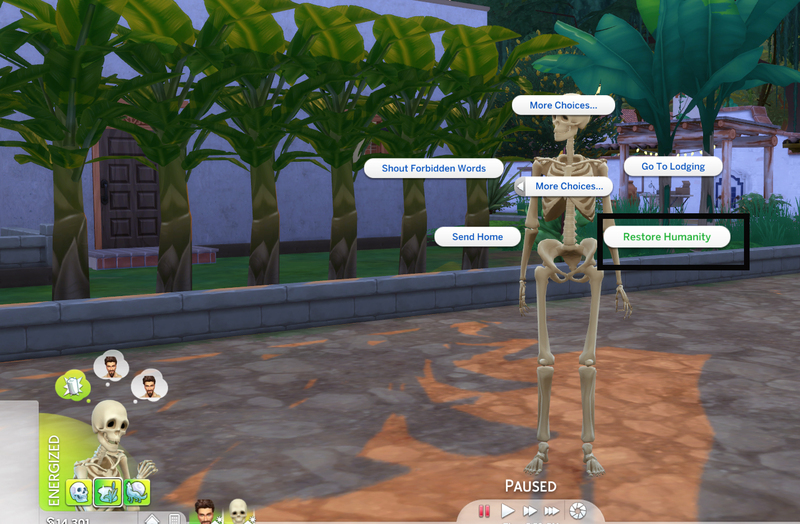 ---zeldagirl180 wanted an option to stop ageing for the skeleton so I added a CAS trait version of the skeleton. 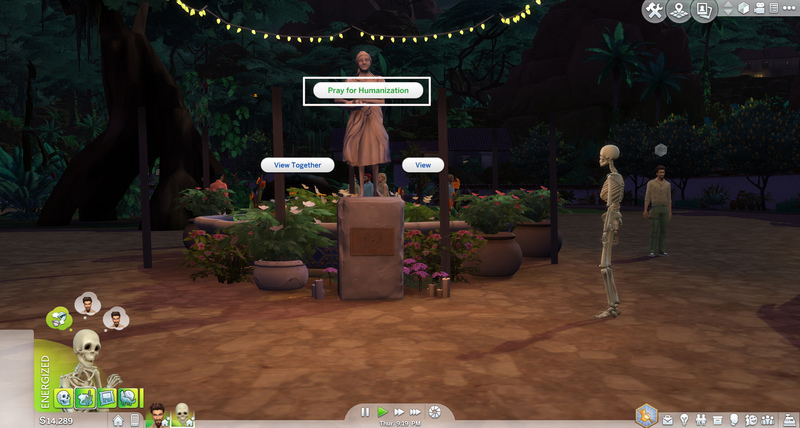 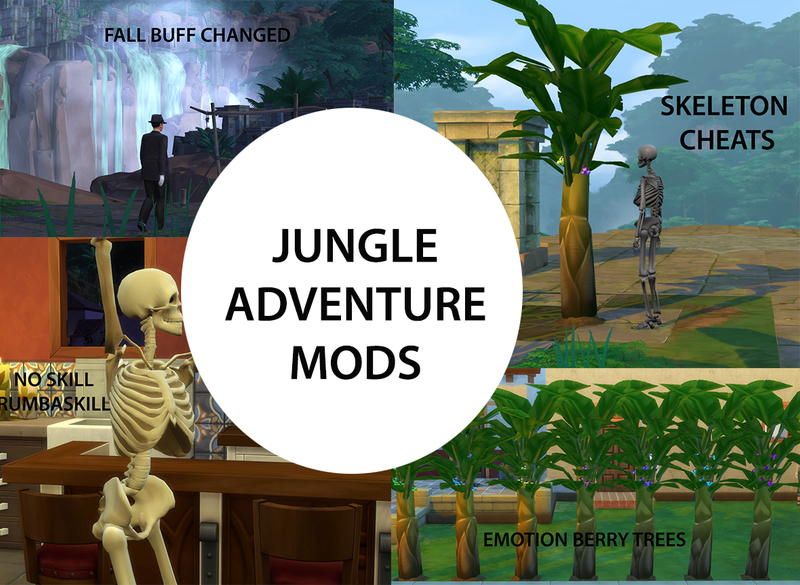 I did not override the Hidden skeleton trait as it was bound to cause issues. 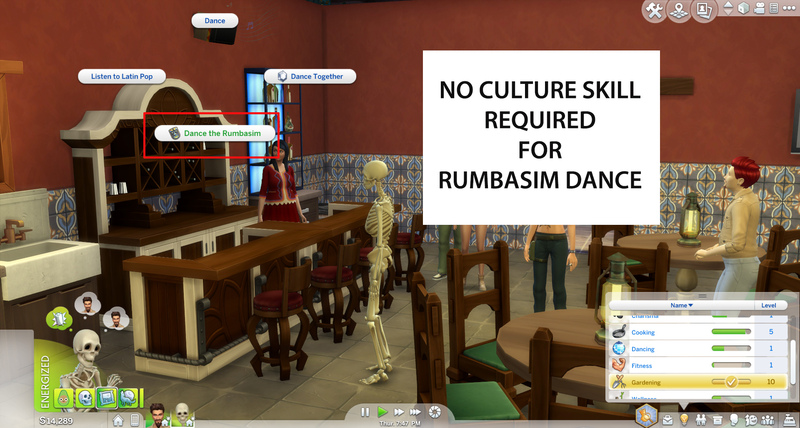 Instead I created a minor CAS trait to apply Skeletonism ( nothing new! 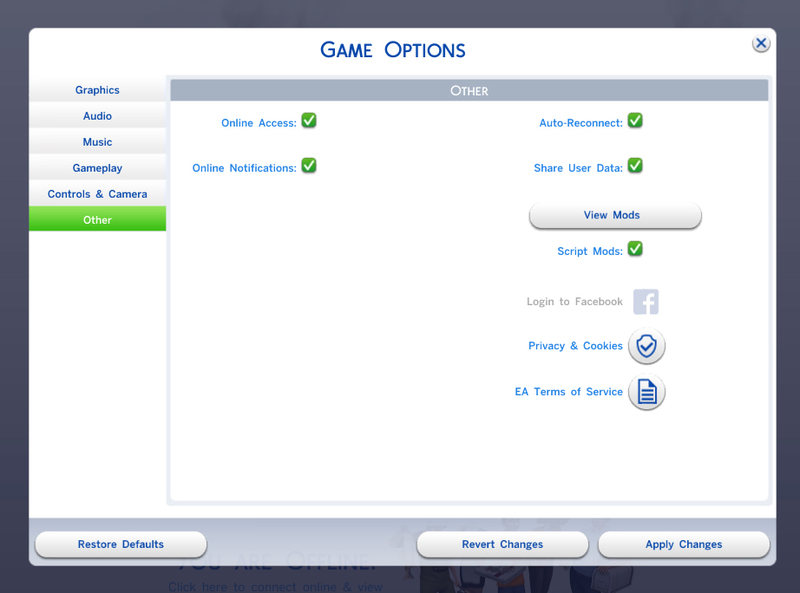 Just another better way to cheat XD ). 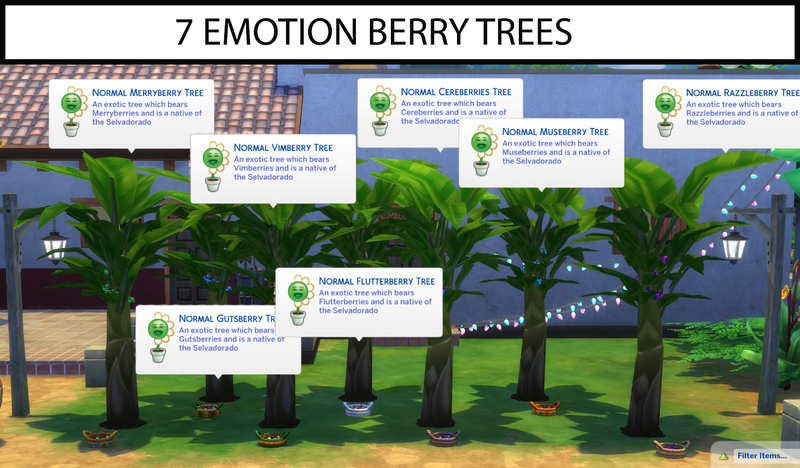 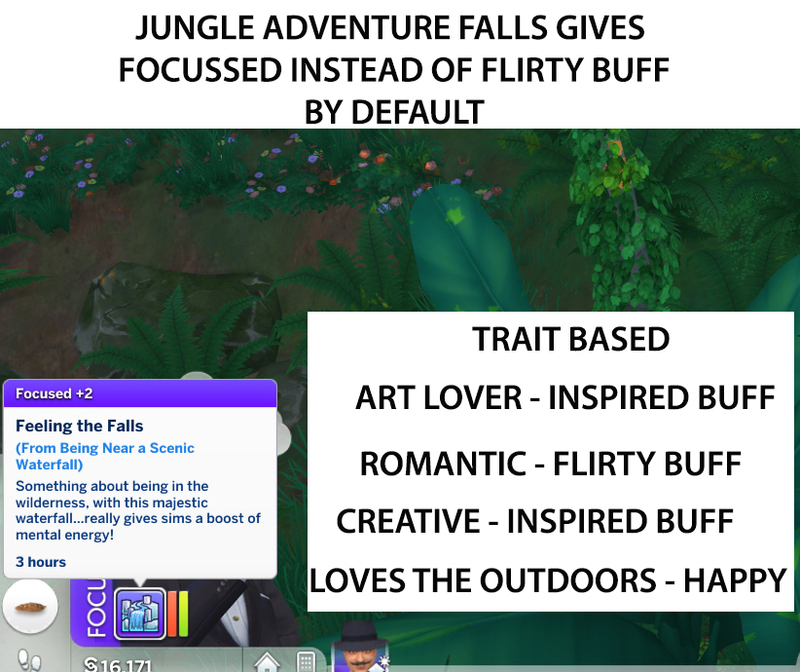 ----> Trait Info - Under Social traits. 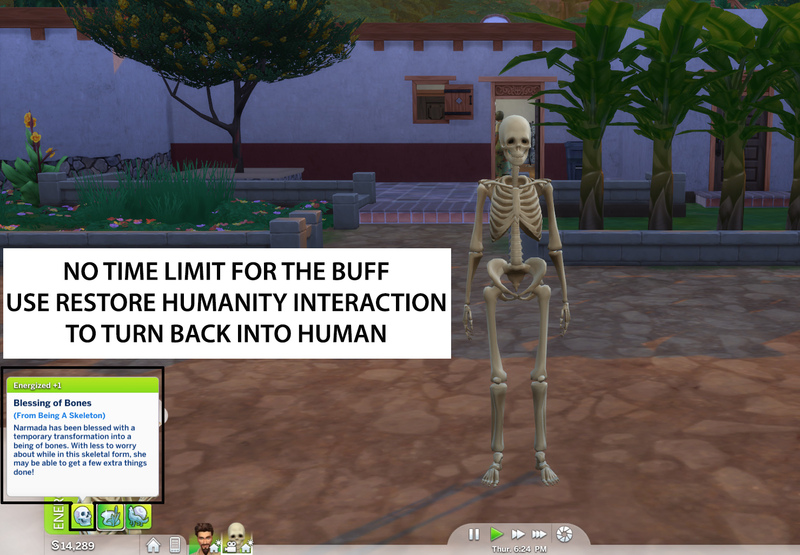 Only buff - +1 Energized 'Blessing of the Bones' , No whims, gameplay modification factors except those provided by the vanilla 'Blessing of the Bones' buffs. 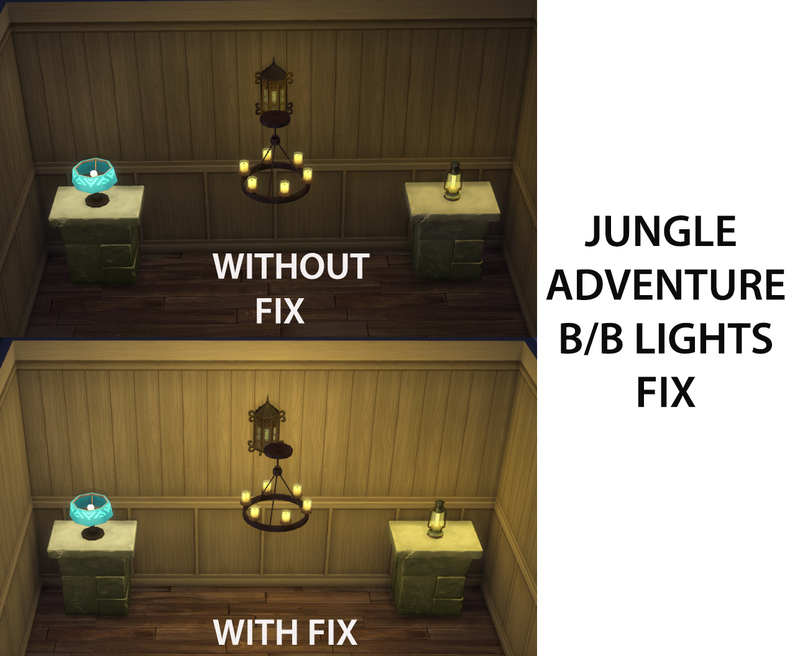 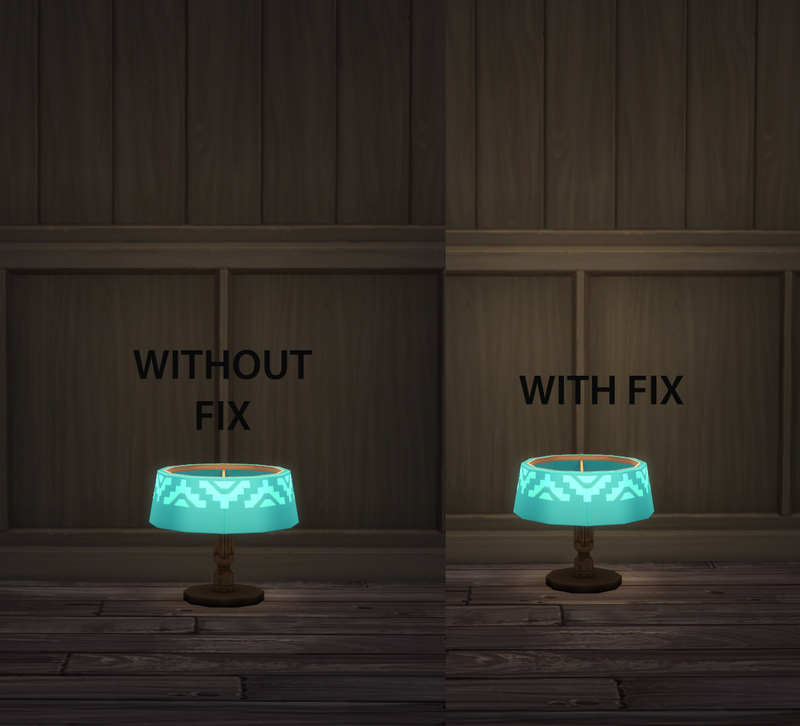 -- So the 4 lights that came with Jungle Adventure emits so little light that it is impossible to properly light up the interiors with them. 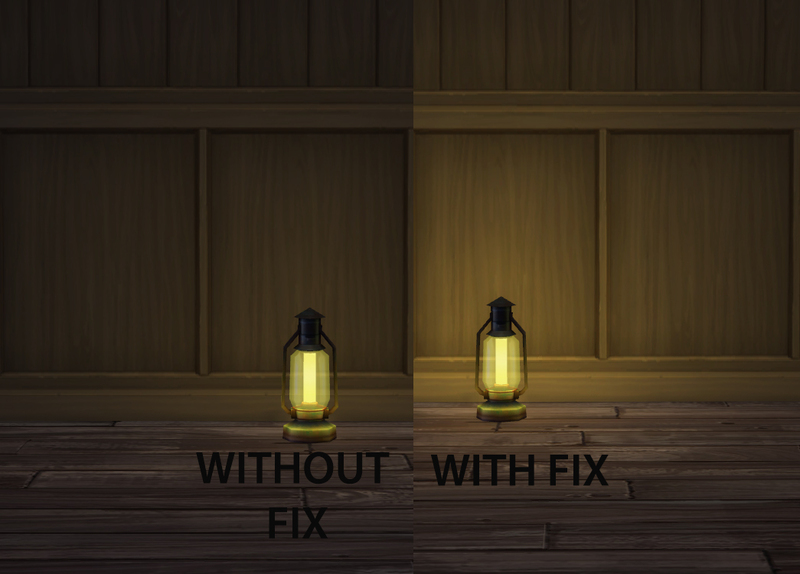 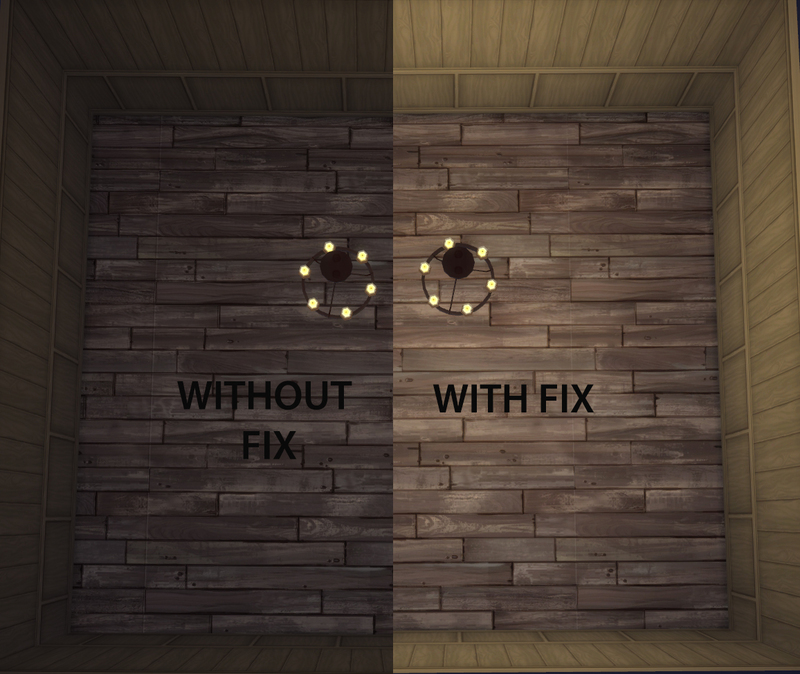 So I brightened the light intensity emitted by them to give a much better light coverage ( See attached images for comparison). 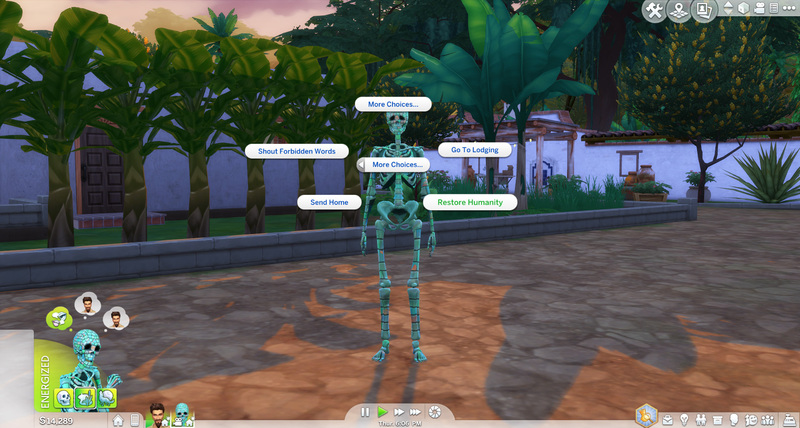 --- Interaction - 'Turn Sim into Skeleton' transforms the sim into the skeleton state and gives it one of 3 skeleton colours - White, grey, jazzy mosiac green. 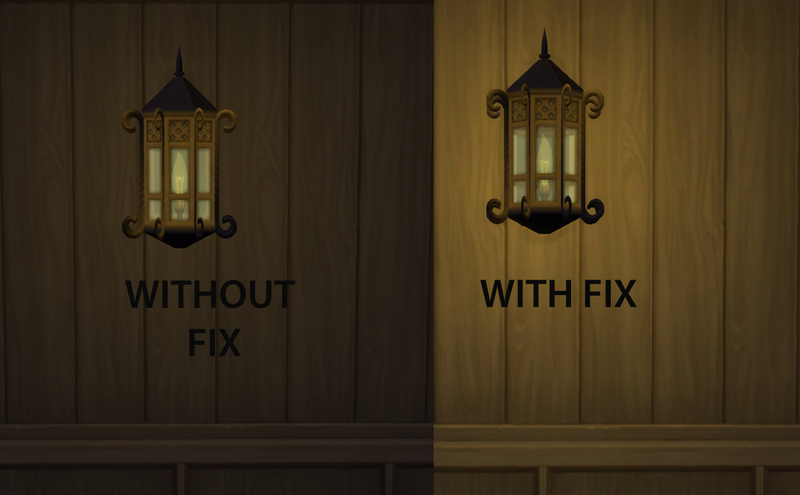 Cycles through these three colours.